Unfortunately pancreatic cancer life expectancy is very low. Life expectancy is difficult to predict for pancreatic cancer as it depends on many individual factors. Generally however, the prognosis of pancreatic cancer is poor. The average pancreatic life expectancy is around 4 – 8 months and will vary depending on which source you use. It is important to remember this is just an average of all patients diagnosed with pancreatic cancer. The one year survival rate of pancreatic cancer is approximately 25% (one quarter). This means on average 25% of people with pancreatic cancer will live for at least one year after diagnosis. Medical professionals often use the term ‘five year survival’ when discussing the life expectancy for various diseases. The five year survival figure is the percentage of patients who are alive after five years after pancreatic cancer is diagnosed. The five year survival rates of pancreatic cancer vary depending on the stage of the disease. Pancreatic cancer staging is used to assess how far the disease has progressed. It is important to remember that five year survival does not represent the number of people who are cured or become disease free. These rates will also be affected by the treatment options used for pancreatic cancer. The people that have a longer pancreatic life expectancy have tumours that have not spread to the more dangerous regions of the body. They also get treated through surgery, where parts of the pancreas as well as the tumors themselves get removed. However, there are many cases that even having the ‘best’ pancreatic cancer will only increase one’s pancreatic life expectancy minimally. So, why is pancreatic cancer life expectancy so low? It’s mainly because the pancreas, (an organ that secretes enzymes that help aide in digestion), is well-hidden in the body. Despite its size it can be hard to get to even for skilled surgeons. There is also the element of the speed through which pancreatic cancer tumors spread. Additionally, the tumors can get into areas of the body where they are virtually impossible to expel, even through top-notch chemotherapy or radiation therapy. Examples include the blood vessels and the lymph nodes. These tumor deposits are known as metastasis. Percentages can rise and fall depending on the stage of the cancer or the treatment used to help prolong the patients’ life expectance. Alternative treatments been claimed to increase the patients’ life while studies in the area of cancer treatment also provide options for increasing life expectance. Indeed, after seeing all of these devastating figures, there should be no mystery as to why pancreatic cancer is the second leading cause of death period in the world. In the U.S. pancreatic cancer is responsible for claiming the lives of 1 percent of the population. This figure encompasses deaths from all possible causes, even diseases that are more infamous, such as HIV/AIDS. 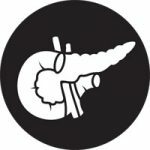 Are there any ways to avoid getting pancreatic cancer, so a person wouldn’t have to worry about pancreatic life expectancy in the first place? Not really, though some studies have shown that not smoking lessens the risk of a person acquiring pancreatic cancer. Additionally, eating healthy and maintaining a normal weight may also aide in not developing the disease. But these are things that a person should be doing anyway, as there are other devastating conditions that can be acquired when a person is not living in the healthiest manner possible. In conclusion, pancreatic cancer life expectancy is very morbid, and is definitely not pleasant news to those who have been diagnoses. However, everyone needs to be aware of it, so the horrible phenomenon of pancreatic cancer can come into light further, especially for the government and research organizations. This is important since currently pancreatic cancer research is one of the most under-funded forms of cancer research in the United States. I was diagnosed with pancreatic cancer September 2014, but I now know I had the symptoms for at least 9months prior to that. I do have a rare form and there is a tumor on the head, middle and tail, these tumors have shrunk as I have been having chemo since January 2015 no operation has been done…having last had chemo in Feb 2016 am on a break taking a small dosage of steroids daily to increase my appetite and strength, no jaundice has yet arisen and the cancer is contained to the pancreas at the time of writing this. My onconolgist Doctor Anne Horgan of Waterford hospital is second to none my faith in her is second to none. Horrible information. I ha e read about people surviving even with liver mets. Can’t you post about these!! 18.5 years ago I was diagnosed with pancreatic cancer. I had a 4.1 malignant tumor on the head of the pancreas. I had radical and whipples surgery, done at the skilful hands of Dr Greg Nolan at the Gold Coast Hospital. I am very lucky and very thankful to still be alive and reasonably healthy for my 71 years of age.